This entry was posted in Manicure Monday and tagged Blue Eyed Girl Lacquer, China Glaze, duochrome, gold, gradient, green, indie, nail art, Ribbits Stickits, shifter, vinyls, yellow. Gold with green is always fun! 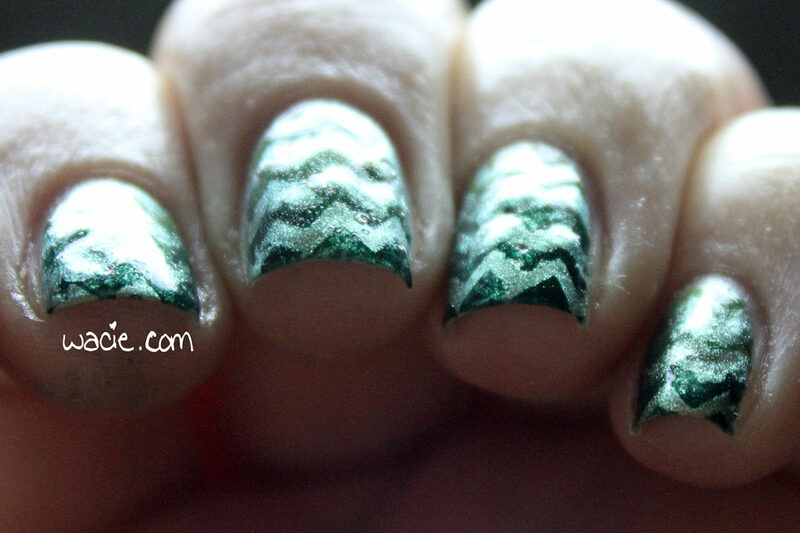 Great design – zig zags are such a great nail art idea! I really like the green and gold together! It’s hard to believe this gorgeousness starts with China Glaze. I love this combination. Love green and gold together! 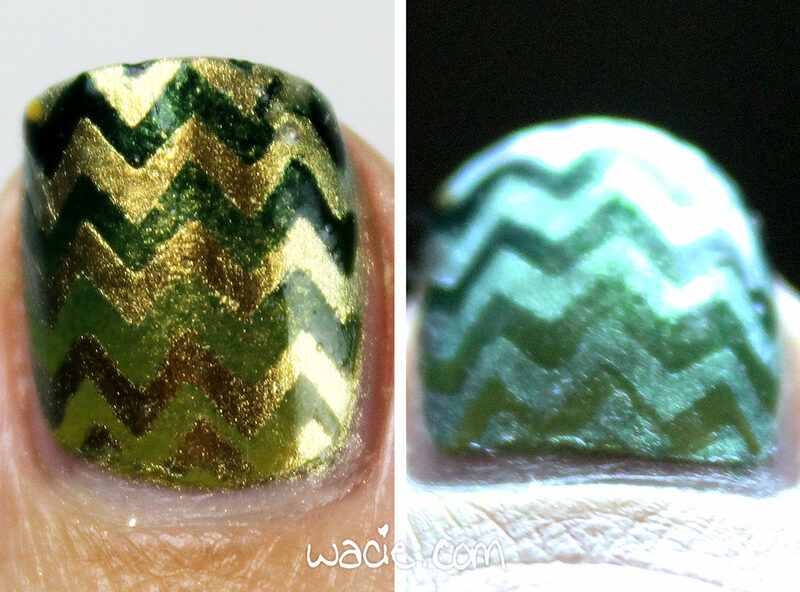 Chevron manicure is one of my personal favorites! I like the way your mani came out. Fun art! The gradient is so subtle and pretty. I love the color combo!! 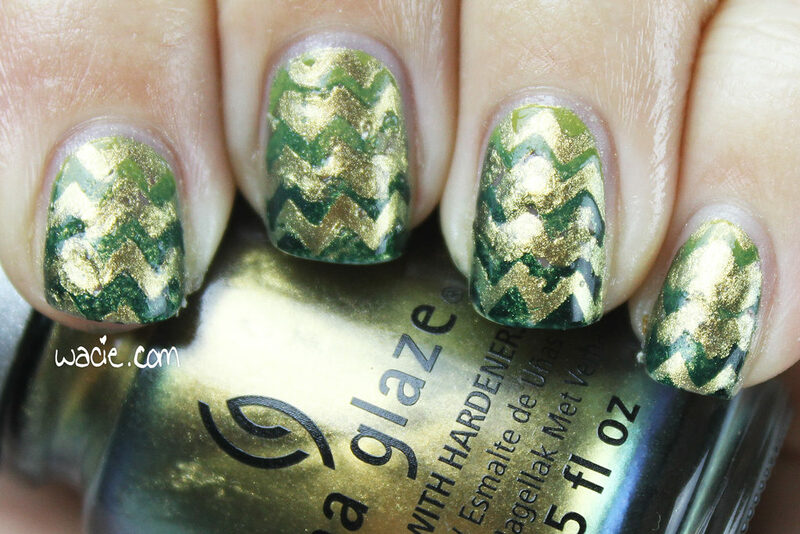 You can never go wrong with chevrons! Your gradient is stunning. I love how this look came together! Great color combination, your gradient looks like a thermal at first glance!